Do you receive emails from your website users with the subject “Data Removal Request” that look like this? personal data related to, and belonging to gdprfanboy@gmail.co.eu. any and all related data. These data removal request emails are sent on behalf of your users when they sign up for a third party “unsubscribe” tool. This tool works by scraping your emails for signup confirmations from different services providers. I’ll ignore the huge problem with giving a random tool full access to read your emails. Let’s focus on what happens when you, as a website operator, receive one of these automated data removal request emails. 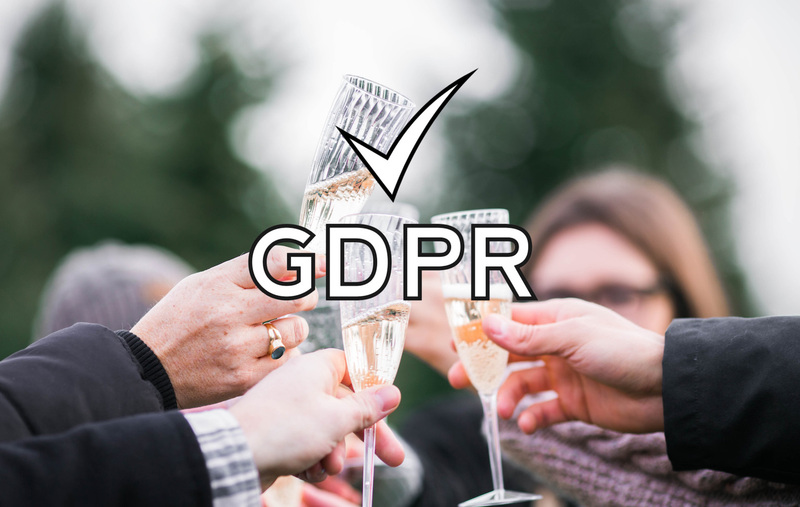 If you’re like WakaTime, you’ve already provided a way for users to delete their account and all related data even before GDPR. However, you still have to manually read and reply to automated GDPR emails even if it’s just to point them to your data removal page. 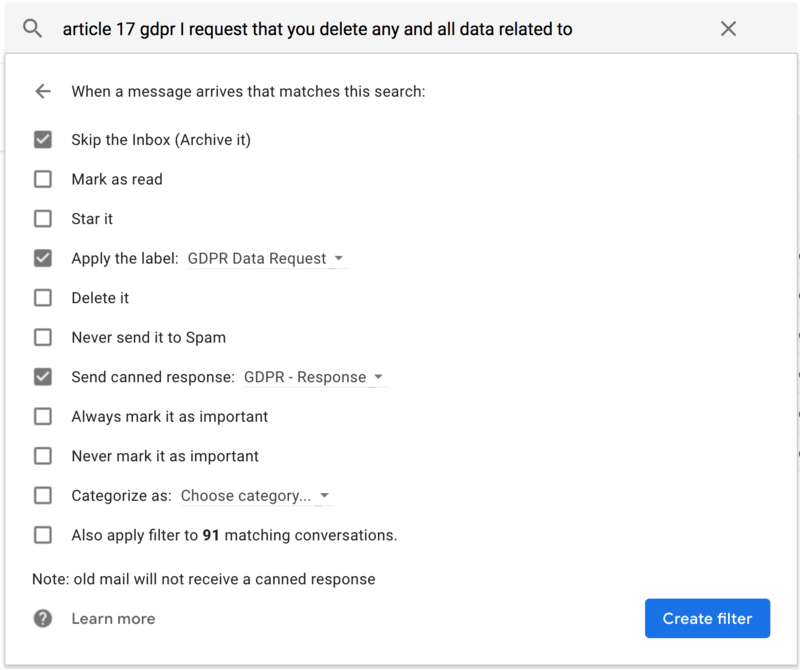 Let’s fix this by auto-responding to GDPR emails using Gmail Filters and Canned Responses! all personal data related to your account, sending us an email does not. To set this up for your website, first enable Canned Responses in your Gmail. Next, compose an email as if you were replying to a GDPR request. Instead of sending the email, save it as a Canned Response. 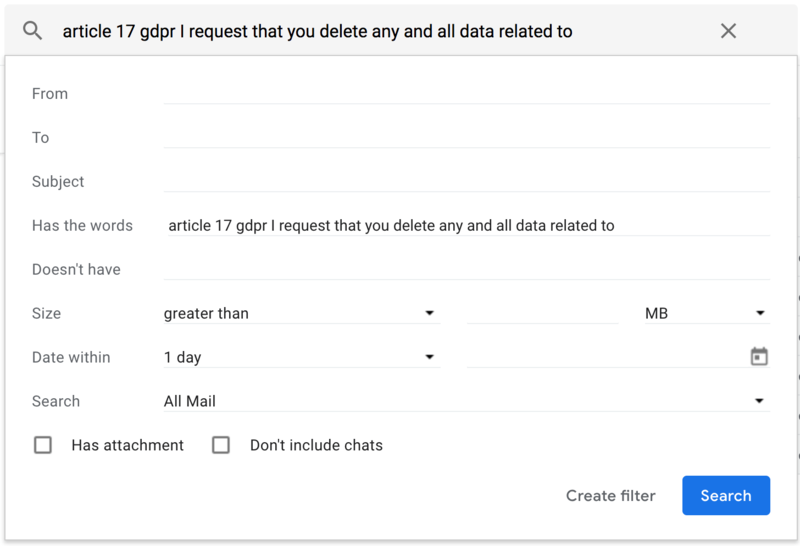 Finally, configure your filter to skip your inbox and send your canned GDPR response. From now on you won’t be bothered by GDPR Data Removal Request emails so you can focus your time and energy on building a useful product!